SAN JOSE, Dinagat Islands, Feb. 2 (PIA) - The provincial government of Dinagat Islands received recently the special top achiever’s award on real property tax efficiency collection and collection on taxes, fees and charges and economic enterprise awarded by the Department of Finance (DOF) Bureau of Local Government Finance (BLGF). 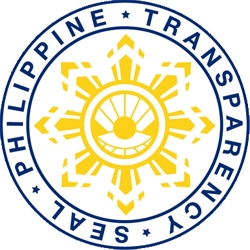 The treasury and assessor’s offices achieved impressively the 381.30 percent collection efficiency in Real Property Tax and an average collection efficiency rating of 1,152.51 percent in the collection of taxes, fees and charges and economic enterprise thereby ranking no. 1 among the provinces of the entire Caraga Region. On the other hand, governor Glenda B. Ecleo duly represented by vice-governor Benglen B. Ecleo and board member Norberto Sarita also received the plaque of recognition and appreciation award in recognition of her invaluable support to the Tax Administration and Revenue Generation Program which contributed to the province’s tax collection efficiency in real property tax and business tax, fees and charges and economic enterprise of the province. Provincal Treasurer Annabelle Naluan cited how the provincial government succeeded in attaining the recognition. “We made plans and strategies in the collection of real property taxes and conduct a massive tax information drive, property auction sale, and we incessantly convinced the mining companies to pay the soil depletion tax,” she said. BUTUAN CITY, Feb. 2 (PIA) - The Department of Environment and Natural Resources (DENR) is reviewing the guidelines for the operationalization of the Joint Regional Committee on Department of Agrarian Reform (DAR), DENR, Land Registration Authority (LRA), and the National Commission on Indigenous Peoples (NCIP) to keep tract of the operations. The operating manual which involves the four regional heads namely, Regional Director Nonito M. Tamayo, CESO IV of the DENR, Regional Director Julieta A. Ragandang, CESO III of DAR, Regional Director Atty. Pinky Grace Pareja-Pabelic of the NCIP and the LRA-Register of Deeds officer-in-charge Susan B. Afable were signatories to the document. The manual paves the way for the creation of a Joint-Regional Committee that will address or resolve conflicts that affect the implementation of the Comprehensive Agrarian Reform Law, Indigenous People Rights Act, Public Land Act, and Land Registration Act/ Property Registration Decree in relation to their respective mandates. The DENR, under the guidelines, has jurisdiction over all lands of the public domain (i.e. agricultural lands, forest or timber lands, national parks, and mineral lands) except those placed by the law and/or other issuances under the operation jurisdiction of other government agencies. BUTUAN CITY, Feb. 2 (PIA) – Department of Environment and Natural Resources (DENR) Caraga regional director Nonito M. Tamayo has appealed to the people in the upland barangays to exercise care of the forest by avoiding 'kaingin' in the midst of the El Niño phenomenon. “We can prevent forest fire by avoiding any activity that could trigger fire from withered leaves,” Tamayo said. He said uncontrolled fire in the forest can affect the tree seedlings planted in different sites of the National Greening Program. The El Niño phenomenon which is an abnormal pattern that is caused by the warming of the Pacific area near the equator has been observed by the Philippine Atmospheric Geophysical and Astronomical Service Administration (PAGASA). El Niño weather occurs when the normal trade winds weakens (or even reverse) which allows the warm water usually found in the Western Pacific to flow instead towards the east. This warm water displaces the cooler water that is normally found near the surface of the eastern Pacific region, setting off atmospheric changes that affects weather patterns in many parts of the world. The abnormal weather phenomenon may last until May this year. The PENR and CENR officers have been instructed to increase their monitoring activities in NGP sites in their respective area of jurisdiction so that the members of the different private organizations that have stake on NGP are properly guided and aware of the abnormal weather pattern. “They should check and ensure availability of sufficient water supply in communities,” he said. SURIGAO CITY, Surigao del Norte, Peb. 2 (PIA) – Panambay sa Barangay gipahigayon sa Provincial Jail niadtong Enero 28, 2016, ning dakbayan. Mokabat sa 246 ka mga inmates ang nakatagamtam sa libreng serbisyo sa dental ug medical ingon man usab mga libreng bitamina, mga foodpacks ug paniudto para sa mga priso. Ang maong kalihukan gipangulohan ni Gobernador Sol F. Matugas uban sa sila Bise Gobernador Arturo Carlos Egay, Jr, kanhe Climate Change Commission Sec. Atty. Lucille Sering ug ang Team Capitol sa pagpangulo ni Provincial Administrator Atty. Premolito Plaza. Sa mensahe ni Gob. Matugas, iyang gipasabot sa mga priso (inmates) nga ang probinsya naningkamot nga maserbisyuhan ang tanang sektor sa katilingban apil na sila nga mga priso nga mahatag kanila ang tawhanong pagdumala ug nagpakabana usab ang probinsya ilabina sa ilang pagkaon ug uban pang panginahanglanon. 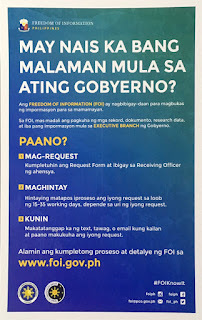 Gibutyag usab sa gobernador ang ilang plano pinaagi sa tabang sa bise gobernador nga mokuha ang probinsya og kaugalingon nga abogado nga maoy magtabang sa mga priso ngadto sa korte diin ang probinsya maoy magsweldo sa maong abogado aron adunay makatutok sa mga problema ug paghikay sa mga kaso. Ubay ubay pa ang mga plano sa gobernador para sa mga priso sama sa paghatag sa mga foodpacks para sa pamilya niini, musical instruments ug ang plano sa probinsya nga maghimo ug moderno nga prisohan nga adunay igong gidak-on na nga luna. Atol sa maong kalihukan nakig-dialogo pa ang gobernador diin iyang gipamatian ang nagkadaiyang mulo ug hangyo sa mga priso sama sa ilang mga katre, ceiling fan sa kada silda, pag ayo sa mga bobong ug mga buslot sa atop.